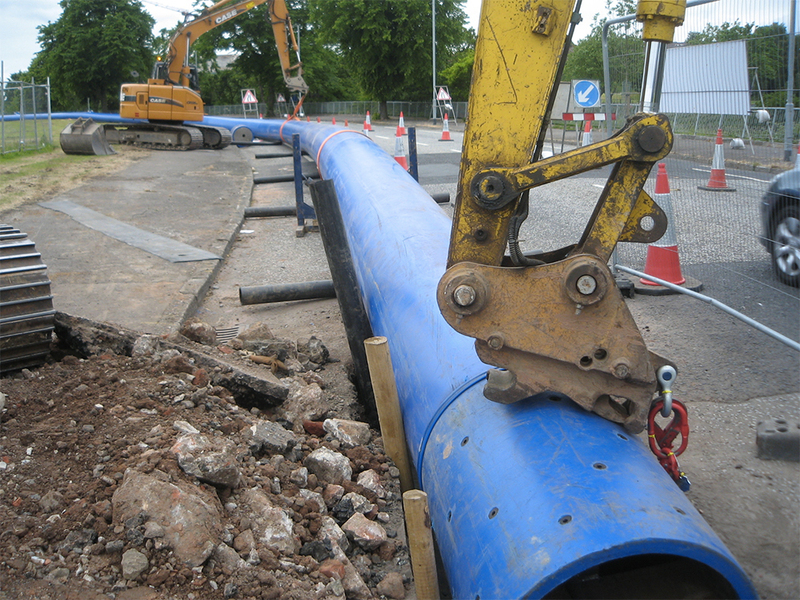 With the capacity to supply 50 million litres of high quality drinking water daily from Lough Neagh to homes in south and east Belfast, they city’s Crosstown Main pipeline is one of the largest and most important in Northern Ireland. Northern Ireland Water commissioned Charles Brand to build a 2.8km extension to the trunk main from Barnetts Part to Newtownbreda Road, reinforcing the link from Dunore Water Treatment Works. 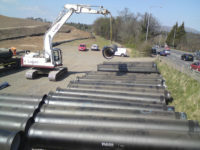 The £2.9 million project involved the removal and replacement of the existing pipe bridge over the River Lagan, construction of a cross connection (including the installation of a pressure reducing valve and strainer) at Breda Reservoir, construction of a cross connection including a flowmeter and actuated inlet control valve at Purdysburn Reservoir and connection to existing pipework at Barnett’s Park and Newtownbreda Road. 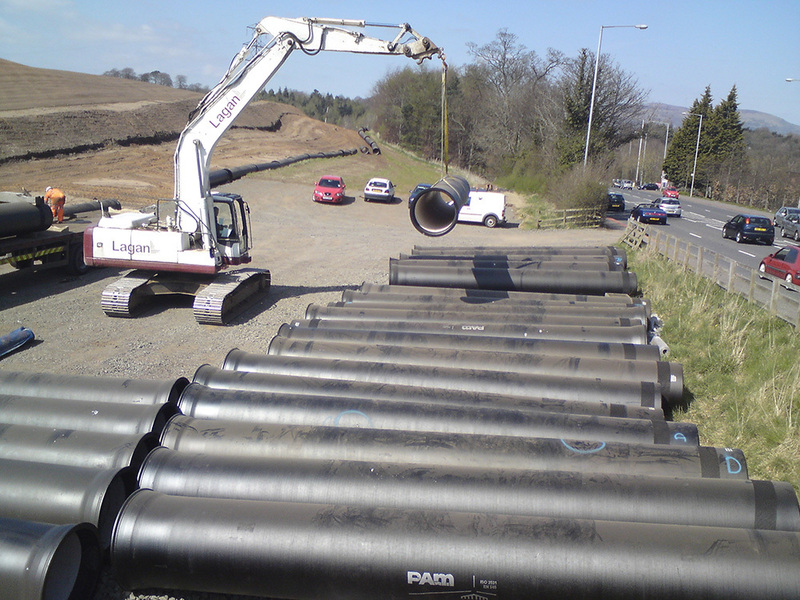 The contract also saw the sliplining of one of the largest diameter mains in Northern Ireland, with approximately 1.1km of 800mm HPPE pipe sliplined up the existing 39″ steel main on the Annadale Embankment. 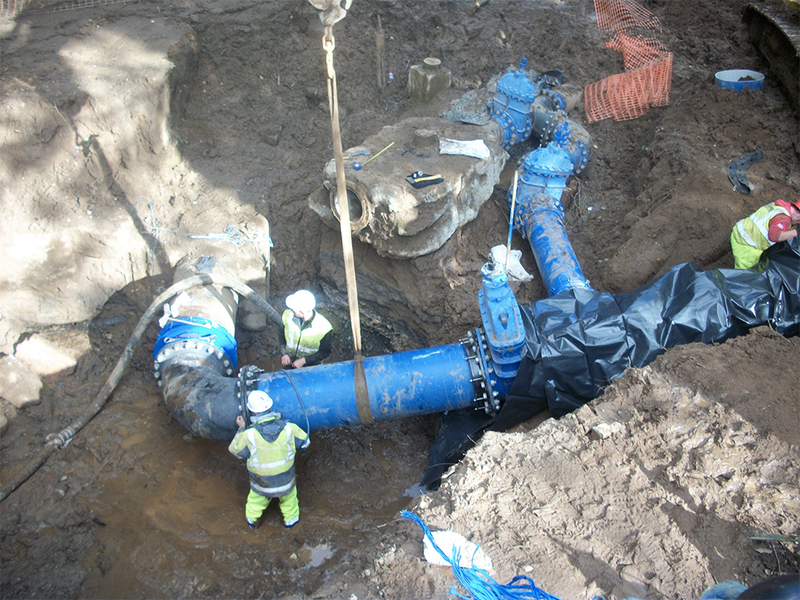 This main reinforces the bulk supply of water to Belfast city centre. Work was carried out on some of the busiest roads in Belfast, but traffic disruption was minimised by extensive planning and traffic management at key junctions. In line with environmental commitments, the route of the pipeline was revised to avoid an unrecorded badger set.